Having bouts of sadness? Feeling unmotivated? You're not alone! Depression is a concern that many individuals experience, and can be an isolating and scary experience to go through. Yet there is a difference between situational or occasional feelings of sadness and a mental health condition of depression diagnosed by a health professional. But how can you know the difference? 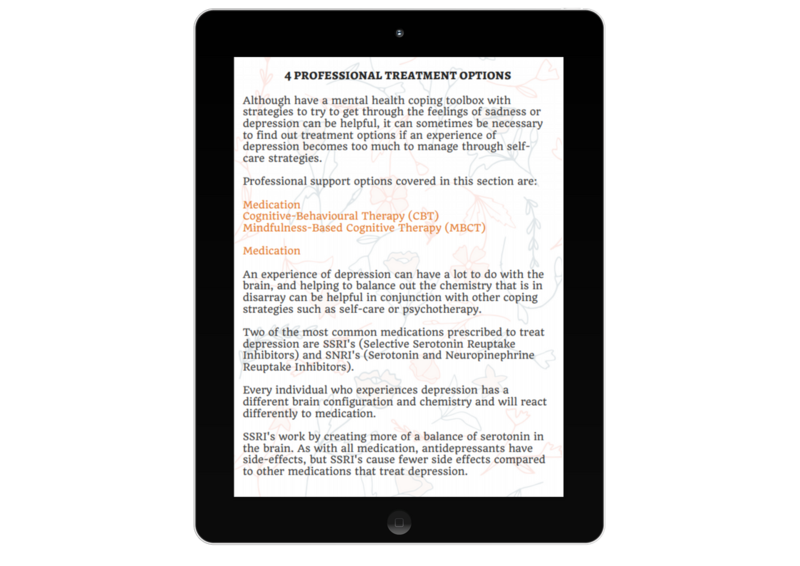 This FREE digital resource has been created to educate around the difference between sadness and depression and includes information about self-care strategies for when you are feeling sad, and treatment options for a diagnosis of depression. A free resource for anyone experiencing sadness or worried they may be experiencing depression. Learn the difference & take charge of your mental health! Learn the difference between feelings of sadness & clinical depression which can impact on many areas of a persons life in very negative ways. Discover ways to cope with feelings of sadness or a diagnosis of depression as well as when to ask for more help which is very important! What's included in this free resource? 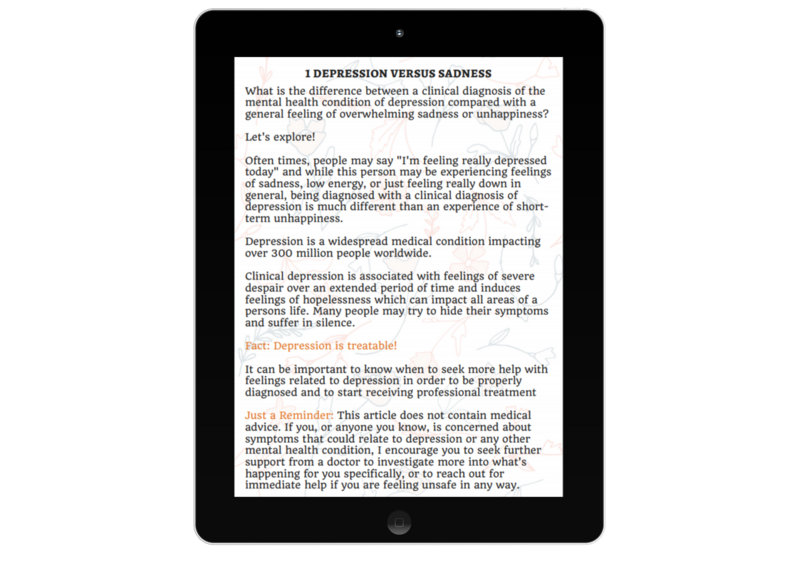 In this free, easy to digest resource, you will learn about the difference between sadness and the mental health condition of depression. You will also discover the common symptoms and causes of depression and how a diagnosis of depression can significantly impact on an individuals life. We will also explore self-care strategies and professional treatment options to work through the impacts of depression. If this resource sounds like it could help, scroll back up and enter your email address to receive your free download! Looking for even more practical strategies to work through anxiety? 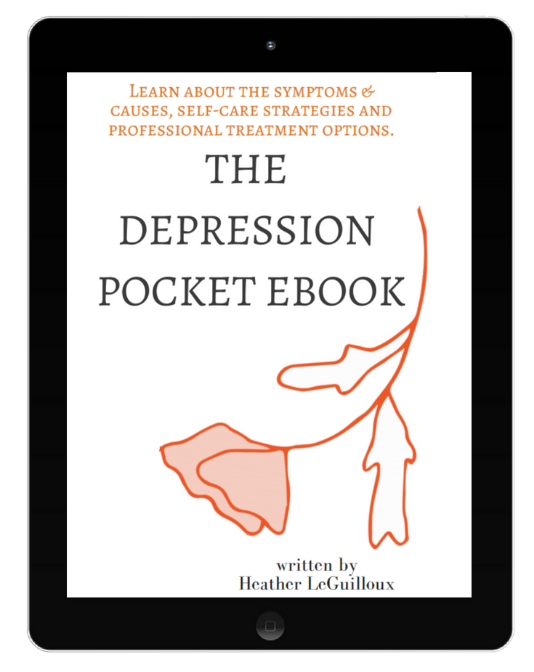 Check out the The Depression Pocket eWorkbook - this accompanying digital resource is filled with practical coping strategies to work through the experiences of depression and is available for purchase now ~ click here. 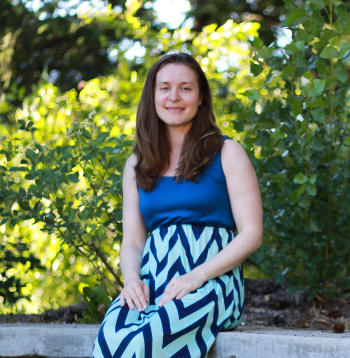 I am also the author of The Anxiety Pocket eBook and the accompanying resource, The Anxiety Pocket eWorkbook. As a mental health professional, I offer my knowledge and support to others in a range of different settings, including the therapy room, through my articles on my blog, and by creating digital products like these to help individuals understand and find help for their mental health concerns. 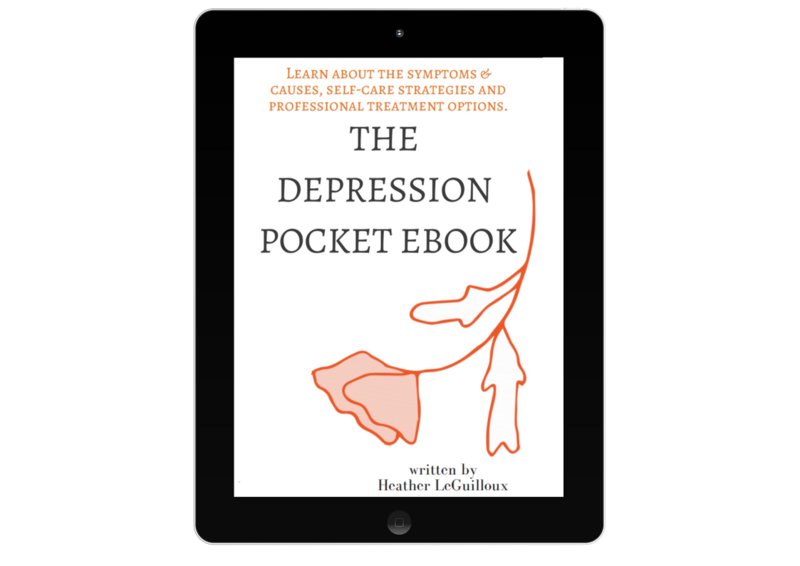 Thanks for requesting a copy of The Depression Pocket eBook. What's next? Make sure to check your email inbox to confirm your subscription & download your copy of this digital resource.